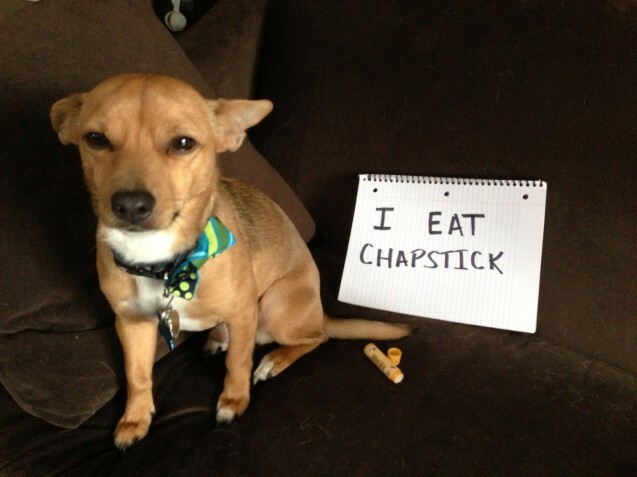 Peanut is a serial Chapstick stealer. Burt’s Bees is his favorite. Posted July 27th, 2013 . I love that squinty-eyed, ears-back look of a chi who feels guilty, but will Never Admit It. My bassie does the same thing! He considers Chapstick a snack food!! Wait, you mean it isn’t? The better for dog kisses! I have two pups who think this is a delicacy.